Star #4 for the BROTHERS! Fresh off a terrific launch day at none other than the National Baseball Hall of Fame in Cooperstown, NY (watch her blog for a recap and photos), coming off of reviews in the New York Times and USA Today and with three starred reviews already in place, it seemed things could not get much better for Audrey Vernick's Brothers at Bat (no jinx! )—and yet here we are with the news that Shelf Awareness has bestowed star number four for this wonderful book! This funny, often moving picture book about an actual family of 12 baseball-playing brothers proves that fact can be stranger than fiction. Audrey Vernick (She Loved Baseball: The Effa Manley Story) tells the story of the Acerra brothers, who played semi-pro baseball longer than any of the other 29 baseball teams made up entirely of brothers. Steve Salerno (Bebé Goes Shopping) re-creates the past with panache and casts a nostalgic spell. In a brilliant stroke, he portrays the dozen brothers in birth order, a handy reference as Vernick tells their larger story. The author enumerates the boys' nicknames and unique talents. The oldest, Anthony, earns the name "Poser" because he'd stand at the plate "as if his baseball-card photo were being taken." Brother number six, Jimmy, "had a knuckleball people still talk about." They banded together at a low point, when the fourth brother, Alfred, lost an eye at the plate, and the other 11 helped him practice enough to reclaim his Acerra uniform. Six of the brothers fought in World War II, and all six returned to play the game. One of the most moving images shows Mrs. Acerra standing on the front porch to welcome one of her sons home. It seems to be a week for second-book deals around here! Jeanne Ryan’s debut YA thriller, NERVE, is due out from Dial in September: tense and gripping and quite believably terrifying, it’s a rollercoaster read that is already garnering early raves. Today, I am thrilled to announce that Jeanne Ryan is getting the chance to freak you out all over again. She has just accepted a publication offer for her second YA novel: CHARISMA, a thriller dealing with experimental gene therapy, personality-distorting drugs and, yes, things that go bump in the night. 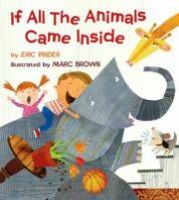 The book will again be published by Dial Books for Young Readers, with Heather Alexander at the helm. I’m so thrilled with this new deal—and, believe me, once you get your hands on these books, you will be too! It is so satisfying when a debut author moves on to book number two, and so our own Lynda Mullaly Hunt embarks on her next adventure even as her first book, ONE FOR THE MURPHYS, is getting ready to hit shelves next month! Lynda's second middle-grade novel, ALPHABET SOUP, is set in 1974, and it focuses on fifth grader Lucy, who hides the fact that she can't read by acting out in class. Then a new teacher sees through her bluster right into her heart. Lurking in Lucy's worried mind is the fact that her older brother is missing in action in Vietnam. The acquiring editor of world rights is again Nancy Paulsen at Nancy Paulsen Books, Penguin. The Indie Choice Awards were announced late last week, and we are so pleased that Mary Lyn Ray's STARS, illustrated by Marla Frazee, is an honor book recipient of the E.B. White Read-Aloud Picture Book Award! Books are nominated for this award by independent booksellers and chosen by a committee representing their bookselling peers. The award recognizes books that are a "pleasure" to read aloud and hear read aloud—which of course we believe describes STARS to a T! Huge, huge congratulations, Mary Lyn! What a week last week was at EMLA! On top of all the other great news, we learned that two fortunate and deserving titles, GRAVE MERCY by Robin LaFevers (Houghton) and THE FALSE PRINCE by Jennifer Nielsen (Scholastic), both have received the best kinds of indicators that they are strongly supported in all of the major bookselling channels. First came word that they were being singled out by the nation's independent booksellers for the spring Kids' Next list's Top Ten. Then, this week B&N's weekly mailing, "This Week's Best New Reads," featured both books as two of the four teen novels included. And finally, with the start of April, Amazon put up its new Best of the Month lists—and in YA, again, two of the books were GRAVE MERCY and THE FALSE PRINCE. We are so incredibly pleased for and proud of Robin and Jen. May more great things come their way, and the way of all EMLA authors and all those writers who toil hard at their craft! It's a banner Sunday at EMLA--not just one, not two, but THREE books get nods in today's NEW YORK TIMES book review! 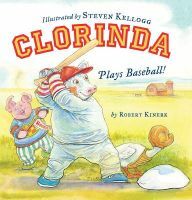 First up in a roundup of baseball books for children is CLORINDA PLAYS BASEBALL!, by Robert Kinerk (illustrated by Steven Kellogg), in which the paper praises Bob's "rollicking, inventive rhymes" and says the book "will have children laughing." 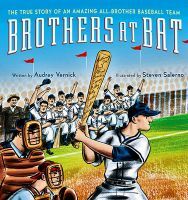 In the same roundup, Audrey Vernick's BROTHERS AT BAT (illustrated by Steven Salerno) is called "a captivating story" and "an unqualified winner." Awfully nice NYT quotes there! And BROTHERS AT BAT was also featured in Thursday's USA TODAY, and in the WALL STREET JOURNAL a week ago. A huge few days for Audrey! And finally, under the headline "Nuns Behaving Badly," GRAVE MERCY, by Robin LaFevers, gets a meaty write-up that unfortunately includes a couple of huge spoilers—so if you haven't read the book, just skim the review for the golden-nugget comparisons to "Game of Thrones," Katniss of "Hunger Games," and Katsa of "Graceling," plus the phrase "darkly funny." "Humor and crisp writing keep 'Grave Mercy," which stretches past 500 pages, from dragging," the paper says, and calls the romance "adventuresome." Now and then we get a lovely and loving review for a client's book and, greedy people that we are sometimes, we wonder why such a good review isn't a starred one. That's what happened one day when we received the SLJ review for Audrey Vernick's BROTHERS AT BAT. Here's the review; you'll see why we wondered where that star was! We found out about the missing star, when later that very same day, Audrey's editor Jennifer Greene emailed a review from Booklist, indicating it was BROTHERS AT BAT's "third" star. We knew about one in PW a couple of weeks earlier; but what was the second one? Ah-ha! There really had been a star on that SLJ review after all! What a wonderful surprise! Three stars and three hurrahs for Audrey! Sumayyah Daud’s debut BEGIN AGAIN, about a seventeen-year-old girl trapped inside a pseudo-reality of her own making, trying to discover what secrets she has locked inside her own mind, before it’s too late, to Julie Strauss-Gabel at Dutton, by Ammi-Joan Paquette at Erin Murphy Literary Agency (World). Sumayyah’s writing is sharp and vivid and her story utterly impossible to put down. I couldn’t be more excited to announce this deal—and I guarantee that you all cannot wait to read it in print. If All of the Animals Got a Star! A boy imagines what would happen if all the animals he could think of came into his house and relates the ensuing chaos with relish. “The walls would tremble. The closets would quake./Oh, what a terrible mess we would make!” With pitch-perfect timing, Pinder uses the same rhythm long enough to explore the structure but avoids tedium through subtle changes. At first the child is simply thrilled by the mayhem, but as the havoc starts affecting him personally (the animals misuse his toys and hog the TV), he becomes less pleased. As his feeling change, so does the rhythm of the verse. As day ends, the youngster concludes that it was fun to have all the animals inside, but ultimately he’s content with his dog and kitten. Using cut paper painted with gouache and decorated with photographic elements, the always-lively Brown seems to have taken particular joy in creating these bright illustrations. Showcasing a perfect synthesis of the cartoon style he made famous with “Arthur” (Little, Brown) and his more recent collage-style work, the artist is in top form. Don’t leave this rollicking “what if” adventure out in the cold. It wasn’t long ago that we welcomed new arrival and recent round-the-world honeymooner extraordinaire Tara Dairman into the EMLA family. Today, I’m overjoyed to announce that Tara has accepted an offer for her debut middle-grade novel: THE DELICIOUS DOUBLE LIFE OF GLADYS GATSBY. The star of the show is Gladys Gatsby, a precocious sixth-grader with a passion for all things food-related. (Now, is anybody out there still wondering how I happened to fall in love with this particular story? No… I didn’t think so.) An essay competition gone awry results in Gladys being assigned to write a restaurant review for none other than the New York Times food editor... but, of course, the editor has no idea how old Gladys really is. And Gladys is determined to keep it that way. No matter what shenanigans she has to pull to do so. This manuscript made me swoon from the very first page. There are mouth-watering food descriptions; there’s a spunky, larger-than-life heroine; and there is tons of quirky humor that made me repeatedly laugh out loud. I am so thrilled that GLADYS GATSBY has found a publishing home at Putnam, with the lovely and wildly enthusiastic Shauna Fay editing. Fifth Star for Grave Mercy, from Shelf Awareness! Congrats to Robin LaFevers for her fifth star from Shelf Awareness! Part spy novel, part feminist coming-of-age tale, LaFevers's riveting story set in 15th-century Brittany will keep readers at the edge of their seats. Ismae Rienne describes a "deep red stain that runs from my left shoulder down to my right hip." It's a trail left by the herbwitch's poison at her birth. "That I survived... is no miracle but a sign I have been sired by the god of death himself," she says. With the help of the herbwitch, Ismae flees a dangerous arranged marriage to find refuge at the convent of Saint Mortain, the patron saint of death. Chancellor Crunard, a member of Brittany's inner council, believes that one of the duchess's most trusted confidants, Gavriel Duval, is leaking the secrets of Brittany's court to France, which seeks control of Brittany. Crunard enlists the convent's help, and the responsibility falls to Ismae. We're so excited to share that ONE FOR THE MURPHYS, by Lynda Mullaly Hunt has earned a star from Kirkus! Sent to a foster home after a beating from her stepfather, eighth-grader Carley Connors learns about a different kind of family life, first resisting and then resisting having to leave the loving, loyal Murphys. Carley is a modern-day Gilly Hopkins, bright and strong, angry and deeply hurt. She’s torn between her love for her mother and her memory of the fight that sent her to the hospital, when her mother caught and held her for her stepfather. Her foster-care placement is terrifying. Mr. Murphy, a fire chief, and his eldest son Daniel don’t even want her there, and Mrs. Murphy is just too nice. It is 4-year-old Michael Eric and his red-headed brother Adam who first break the ice. Slowly won over at home by the boys’ open affection and Mrs. Murphy’s patience and surprising understanding, Carley also finds a friend at school in the prickly, Wicked-obsessed Toni. The first-person narration allows readers inside Carley’s head as she fights against both showing emotion and her growing pleasure in belonging to their world. There’s plenty of snappy dialogue as well. By the end of this poignant debut, readers will be applauding Carley’s strength even if they’re as unhappy as Carley is about the resolution. A Star for Tracing Stars! Most kids can pucker up a fish face, but Indie Lee Chickory can make specific ones like wounded mackerel, flat haddock and trout pout, earning her the label of fish freak of Plumtown. When her Coke-loving pet golden lobster (yes, they exist, one in 30 million) escapes into the ocean, recovering Lobster Monty Cola becomes the crux (and crustacean) of the story. With the help of oddball loser Owen, whose father shipped him out for the summer to his aunt, who builds sets for the town musical, she aims to get Monty back. The two hoist the front and back ends of a splintered rowboat up into a tree-house platform to rebuild it so they can scout for Monty’s return. Their efforts are complicated by the love/hate interaction between Indie and her older sister Bebe (who’s in the play), an overzealous police officer, shooting stars and the constellation Pisces, Owen’s Book of Logic and Reason: Observation Log IV, peer pressure and a cast of community characters in this tourist fishing town. The seaside setting is awash with details—theatre terms, fish names, Indie’s Carhartt pants—that define the community and Indie’s family in it and also salts the action.